On March 14, 1862, Norwegian physicist and meteorologist Vilhelm Bjerknes was born, Bjerknes is best known for being one of the founders of the modern science of weather forecasting with his 1921 published work “On the Dynamics of the Circular Vortex with Applications to the Atmosphere and to Atmospheric Vortex and Wave Motion“. Vilhelm Frimann Koren Bjerknes was born in Kristiania (later renamed Oslo), Norway, and enjoyed an early exposure to fluid dynamics, as assistant to his father, Carl Anton Bjerknes, who had discovered by mathematical analysis the apparent actions at a distance between pulsating and oscillating bodies in a fluid, and their analogy with the electric and magnetic actions at a distance. Bjerknes began his formal education in mathematics and physics at the University of Kristiania in 1880. He studied hydrodynamics until 1887 when he started his M.S. degree. Upon completion of his degree, Bjerknes went to Paris on a state fellowship and began taking lectures by Jules Henri Poincaré on electrical wave diffusion. [2,4] Apparently no attempt had been made to demonstrate experimentally the theories arrived at by the older professor until Vilhelm Bjerknes, then about 17 or 18 years of age, turned his mathematical knowledge and mechanical abilities to the devising of a series of instruments by which all the well-known phenomena of electricity and magnetism were illustrated and reproduced by spheres and discs and membranes set into rhythmic vibration in a bath containing a viscous fluid such as syrup. These demonstrations formed the most important exhibit in the department of physics at the Exposition Internationale d’Électricité held in Paris in 1881, and aroused greatest interest in the scientific world. 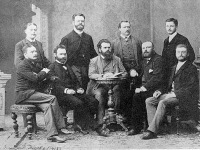 In 1890, Vilhelm Bjerknes went to Germany and became an assistant to and scientific collaborator with the German physicist Heinrich Hertz in Bonn . There, he made substantial contributions to Hertz’ work on electromagnetic resonance, in particular in giving the explanation of the phenomenon called “multiple resonance,” discovered by Edouard Sarasin and Auguste de la Rive. Back in Kristiana in 1892, he continued his experiments and proved experimentally the influence which the conductivity and the magnetic properties of the metallic conductors exert upon the electric oscillations, and measured the depth to which the electric oscillations penetrate in metals of different conductivity and magnetic permeability (the so-called “skin effect“). Finally, in 1895 he furnished a complete theory of the phenomenon of electric resonance, involving a method of utilizing resonance experiments for the determination of the wavelengths, and especially of the damping of the oscillations in the transmitter and the receiver of the electric oscillations. These methods contributed were decisive in the development of radio. After two years as lecturer at the Högskola (School of Engineering), Stockholm, Bjerknes in 1895 became professor of applied mechanics and mathematical physics at the University of Stockholm. There he elucidated the fundamental interaction between fluid dynamics and thermodynamics. In 1897, Bjerknes’ son Jacob was born. Jacob would later collaborate with his father and become a famous meteorologist in his own right, discovering the mechanism that controls the behavior of mid-latitude cyclones. In 1902, he published Vorlesungen über hydrodynamische Fernkräfte (1900-1902), a summary of his work in hydrodynamics, in which he gave the first complete mathematical and experimental exposition of the discoveries of his father, whose age and excessive self-criticism had prevented him from finishing his work himself. Bjerknes’ major contribution was the primitive equations which are used in climate models. He realized that atmospheric motion can be best understood when hydrodynamics and thermodynamics are combined. He knew that the heat of the sun is transformed into motion in our atmosphere. The friction of that atmospheric motion also generates heat, which is also turned into motion. Hence, thermodynamic laws are intertwined with fluid mechanics and this combination is necessary to fully understand the phenomena of the atmosphere. 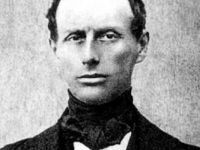 It was this work that inspired both V. Walfrid Ekman and Carl-Gustav Arvid Rossby to apply it to large-scale motions in the oceans and air masses in the atmosphere, which is essential to modern weather forecasting. Bjerknes himself had foreseen the possible applications as early as 1904. This attack upon the meteorological problems from a hydrodynamical point of view was after 1906 supported by the Carnegie Institution of Washington, D.C., of which he became a research associate. 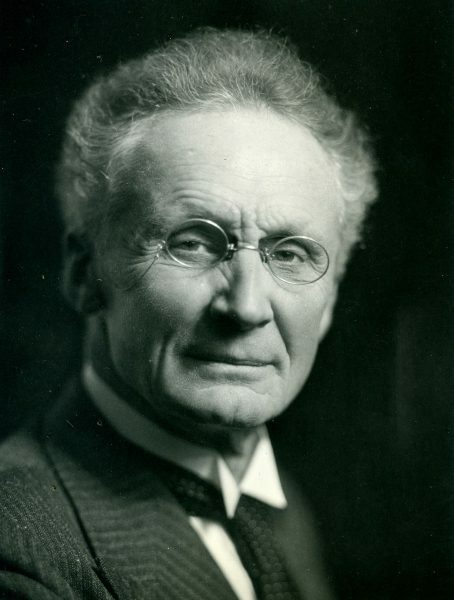 In 1907, Bjerknes returned to the Royal Frederick University in Oslo before becoming professor of geophysics at the University of Leipzig in 1912, where he organized and directed the Leipzig Geophysical Institute. 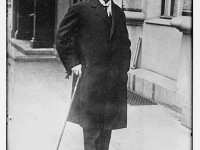 In 1909, he began a series of lectures that called for an awareness of the importance of new techniques in the science world as they related to weather forecasting and atmospheric understanding. He wrote and published the first volume of Dynamic Meteorology and Hydrography, that dealt with the fixed state of the atmosphere and fluids, with his new assistant, Johann Wilhelm Sandstrom. In 1916, he started the publication Synoptische Darstellung atmosphärischer Zustände über Europa. In 1917, he founded the Geophysical Institute, University of Bergen where he wrote his book On the Dynamics of the Circular Vortex with Applications to the Atmosphere and to Atmospheric Vortex and Wave Motion (1921), now a classic which clearly details the most important aspects of his research, and laid the foundation for the Bergen School of Meteorology. 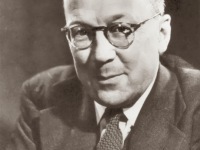 He was the originator there of an improved and more scientific weather service, afterwards controlled by his son and collaborator, the meteorologist Jacob Bjerknes (1897–1975). Widowed since 1928, Vilhelm Bjerknes died of heart problems in Oslo in 1951, aged 89. At yovisto academic video search you can learn more about climate change in a lecture about ice loss by James Balog. Henri Poincaré – the Last Universalist of Mathematics, SciHi Blog, April 29, 2014. Heinrich Hertz and the Transmission of Electromagnetic Waves, SciHi Blog, November 13, 2017. O’Connor, John J.; Robertson, Edmund F., “Vilhelm Frimann Koren Bjerknes“, MacTutor History of Mathematics archive, University of St Andrews.